It is with great sadness that we announce the passing of Prof. Judith Sluiter on Monday, May 14th, 2018. Prof. Sluiter was Head of Department of the Coronel Institute of Occupational Health. She was also a valued and active member of ICOH for many years. Judith Sluiter started in the AMC in 1996 as junior researcher in occupational medicine and completed her PhD-thesis on neuroendocrine reactivity and recovery during and after working time in 1999. A post-doc trajectory lead two years later to a job in the AMC as assistant professor and four years later she became associate professor. Since 2007 she was one of AMC′s principal investigators. Since 2009 she was co-leader of the Expertise Center of medical examinations and medical guidance of employees (KMKA). Since 2013 she was full professor and since 2016 the AMC role as co-director of the Amsterdam Public Health research institute was started. Since 2016 she was a member of the KHMW (de Koninklijke Hollandsche Maatschappij der Wetenschappen). From September 2017 she also acted as AMC Head of Department of the Coronel Institute of Occupational Health. Prof. Sluiter was also a valued and active member of ICOH for many years. 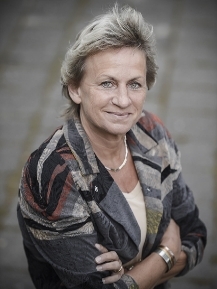 From 2012 to 2017 she served as ICOH National Secretary for The Netherlands. She was an active member of the ICOH Scientific Committees on Work Organization and Psychosocial Factors, Aging and Work and Musculoskeletal Disorders. The ICOH colleagues will always remember her with warm feelings. Our deepest condolences are now with her family and friends.